Our key brands include Eschenbach Optik, Ocutech & LiveEyewear LV Shields. Since its establishment in 1913, Eschenbach Optik has been combining traditional corporate values with modern innovative flair. 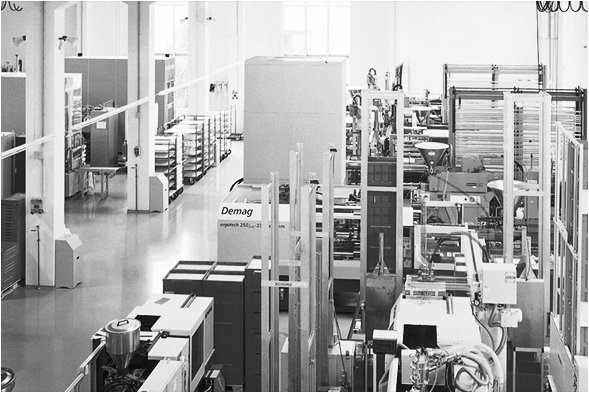 Within a century, this Nuremberg company has developed into one of the leading suppliers of optical products and a reliable partner for your vision needs - in Germany and throughout the world. With subsidiaries in twelve countries, more than 30 international trade partners and over 480 employees, today Eschenbach Optik has a truly global presence. Ocutech, founded in 1984, is a worldwide leader in developing advanced hi-quality telescopic low vision aids (bioptics) for the visually impaired. Ocutech bioptic telescopes are prescribed by Low Vision specialists worldwide, and are used by tens of thousands of visually impaired individuals throughout the world. To address the needs of people with various visual impairments (such as light sensitivity), LiveEyewear offer a full range of Cocoons featuring special absorptive filters developed specifically for Low Vision applications. Cocoons are professional grade sunglasses that are designed to be worn over prescription eyewear. The collection encompasses a wide range of sizes and styles that fit over different sizes and shapes of prescription glasses. Cocoons feature a proprietary lens that is available in many different tints, including mirrors and specialty low vision lens systems. Intelligent design, world-class engineering and a range of patented features has helped the brand achieve worldwide acclaim as the most comfortable fitover sunglass. Simply put, Cocoons are Professional Grade Fitovers. Promotion of our key brands to the profession is through our education portfolio. Education and development are at the core of Associated Optical’s Ethos and through the delivery of CET accredited content which includes the highly successful one day event ‘Magnification – From Low Vison to Easy Vision’, Associated Optical continues to support the optical industry in the pursuit of further enhancing patient care.